The British director Saul Dibb’s World War I film Journey’s End is a fine, mournful piece of work, but it opened without fanfare early in the year and closed almost immediately. Dibb has made only a handful of movies; I don’t think his last one, an adaptation of Irène Némirovsky’s novel Suite Française, was released at all on this side of the ocean, though it has Michelle Williams, Kristin Scott Thomas and Margot Robbie in the cast. (It’s set in World War II.) 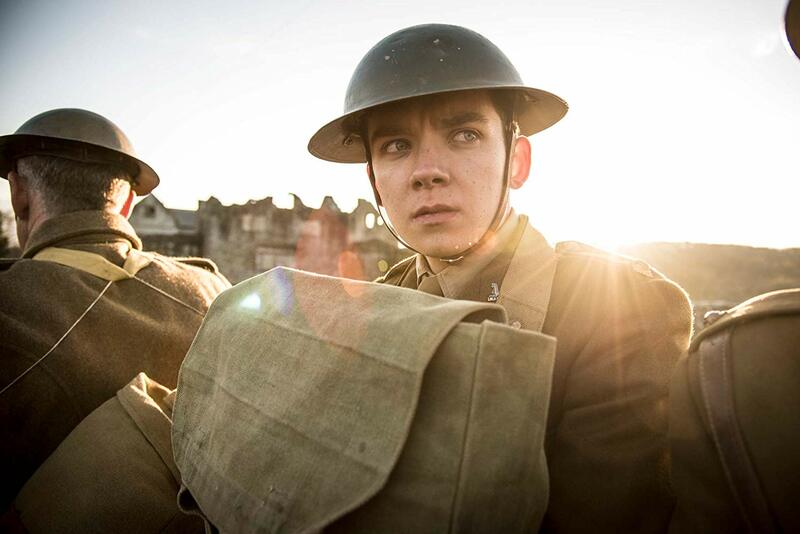 In Journey’s End he’s working with a screenplay by Simon Reade based on the 1928 R.C. Sherriff play, one of the most downbeat of all war dramas. The major WWI play produced in America in the twenties was Maxwell Anderson and Laurence Stallings’s What Price Glory?, which is raucous and funny – a hard-boiled comedy – except for the middle act, a poetic lament that takes place in the midst of a bloody battle. But in England it was Journey’s End, a relentlessly tragic glimpse of the war from the point of view of a doomed group of British officers in a trench in Aisne, France, just before Operation Michael (though it was warmly received when it moved to Broadway in 1929). James Whale directed the original West End production, which starred twenty-one-year-old Laurence Olivier as Captain Stanhope, and he brought it to the screen in 1930 with Colin Clive, who had replaced Olivier on stage. But the play (and the first movie version, which I’ve never seen) had been pretty well forgotten until Christopher Newton staged it at the Shaw Festival in 2005 and it was given a Broadway revival two years later with Hugh Dancy, Boyd Gaines and Jefferson Mays. I saw both; both were extremely affecting, though the earlier one, mounted in the intimate Court House Theatre, is the one that has stayed with me. I was sitting in the front row, very close to the actors, and I felt so drawn into the world of the dugout that when Evan Buliung, cast as Stanhope, stopped the performance to lecture some high school students on a theatre outing whose behavior was distracting the actors, it was as though someone had pinched my arm, hard. Buliung was right to do as he did; the kids were behaving like boors. But it was a genuine jolt that took me, for a few minutes at least, out of one of the most profoundly naturalistic experiences I’ve ever had at the theatre. Claflin came across as only a moderate talent in the two previous movies I saw him in, My Cousin Rachel and Their Finest, but he grabs hold of the difficult role of Stanhope, who is falling apart and can’t show that he is, and he plays it for all it’s worth. Butterfield is movingly understated; much as I loved him in the title role of Hugo, this is a grown-up performance. Toby Jones makes the small, wry role of the cook, Mason, memorable; Reade has put in a few obscenities for him that weren’t in the original play, but they seem appropriate enough. Tom Sturridge gives a perfectly calibrated performance in another tricky role, Hibbert, whom Stanhope refuses to allow to go on sick leave because he knows his request will be denied farther up the line and the only result will be to make the company look bad. Best of all – I think he’s almost always the best of all – is Paul Bettany as the kind, measured ex-schoolteacher Osborne, whom the others like to call “Uncle”; when he passes out of the movie – you can see it coming – its world feels even sadder. The consistently high caliber of the performances has to be down to Dibb as well as to his actors. The only problem with the direction is the two battle sequences: he doesn’t know how to shoot them, so he makes the mistake of getting in too close, and though you can see his intention is to replicate the chaos of battle, what he does instead is to obscure the action. It’s a forgivable mistake, especially since these days many veteran directors have forgotten the value of a long shot. And it doesn’t affect the overall experience of the movie, which honors Sherriff’s first-rate play.